Which Hunk is October’s Mougar of the Month? 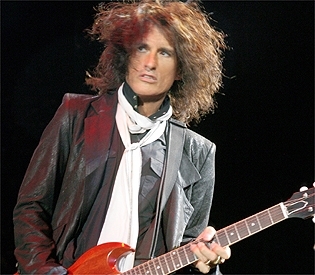 Aerosmith’s guitarist, Joe Perry, has apparently become very vocal about his distaste for lead singer Steven Tyler’s new job as a judge on American Idol. So, according to Perry, it sounds like Aerosmith’s shows may be few and far between for awhile. With Steven having so many recent health scares lately, it totally makes sense to us that he might want to take it easy on the tour front for awhile, but it looks like Joe isn’t feeling it. So, the two are seemingly fighting again…not that that’s a first in the bands history. If you remember, just last year after Tyler was injured on tour and did a brief stint in rehab, Perry was all about replacing him. So, as ridiculous as that sounds, is it possible that Perry may still have the idea in mind? So, if that’s the case, could this new gig on American Idol really mean the end of Aerosmith? Who knows. Tyler and Perry have both called it quits in the past and Perry, more recently, has been very vocal about the fact that his is displeased with most of Tyler’s choices. If history shows us anything, it may mean that this is just another disagreement between the two. So Celebstalkers, what do you think? Do you think that Steven selfishly made plans to do Idol without talking to his bandmates? Do you think Perry is being an overdramatic sissyface? Do you think that this could be the end of Aerosmith as we know them? 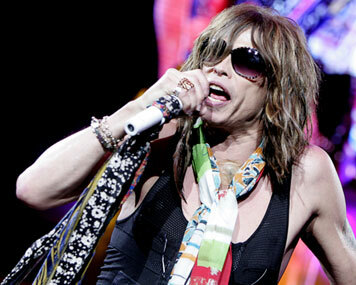 If Aerosmith finds a new singer, would you be interested at all in seeing them without Steven Tyler? Is Kate Hudson Musing Over Marriage to Rocker Matt Bellamy? But does that mean that we can expect a Kate Hudson and Matt Bellamy wedding in the near future? At any rate, its obvious that Kate Hudson and Matt Bellamy are totally in love for now and the sound of wedding bells may be in the future. 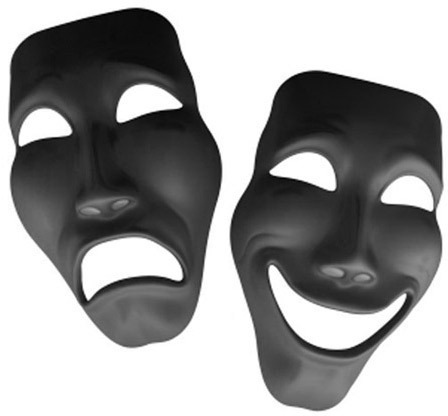 This spectrum of emotion has fueled fires and wars the world over…but no war…no fire could have prepared us for what would become the most epic of all battles…. THE BATTLE OF THE MULLETS!!!!!! Can be identified by the spiky top and soft wisps on the bottom. 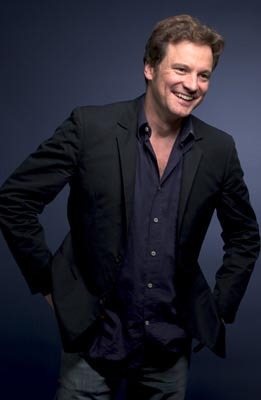 Has been responsible for the success of sitcoms, movies, music and romance. Is often accompanied by a general state of happiness and awesomeness. Is easily identifiable by subject harboring a general sense of hatred and/or disgust for the rest of the world. Pairs wonderfully with ill fitting tank top and/or flannel. 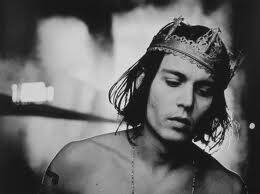 Has been responsible for murderous rages, teary outbursts, music and romance. So what have these mullets contributed to society? More than you probably know. While many people assume that comedy/tragedy mullets are affected primarily by the subjects wearing them, this is absolutely false. Celebstalk has been tirelessly researching this phenomenon and have found that the real culprit that is responsible for the mass hysteria is indeed the mullet itself. If you’ll notice, the mullet worn by David Spade in the movie Joe Dirt is completely different from the mullet Charlize Theron wore in Monster. While many of you likely assume that the mullet was put in these movies strictly to imitate the characters, it is actually the mullet that is responsible for the acts that were committed by each person. We have included some of Celebstalk’s findings below. Notice how Joe Dirt is smiling? We believe that the sideburn portion of the mullet is responsible for this. 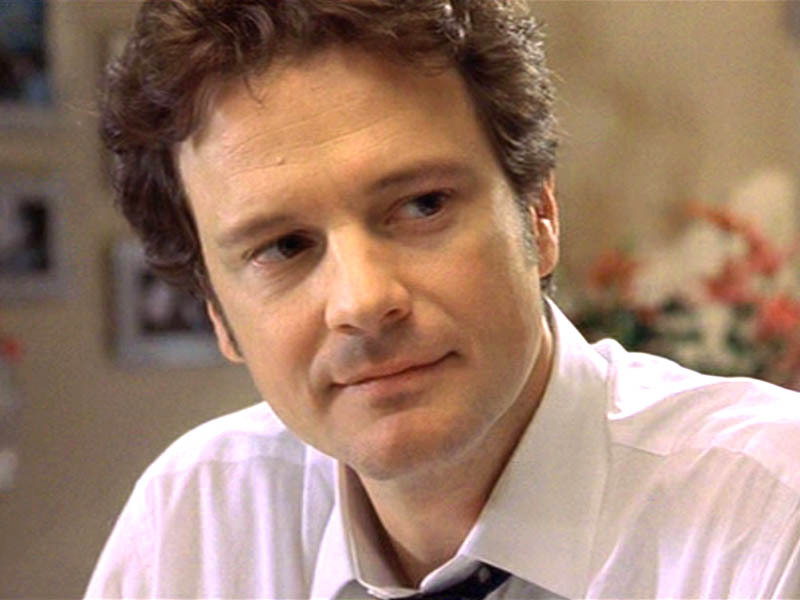 I mean, come on, if you had awesome ‘burns like these, wouldn’t YOU be happy as hell? We sure would! Also notice the length: We have determined that the length of the mullet contributes to the length of happiness on the mullet-meter. The fact that the mullet thins out dramatically we believe contributes to the level of happiness by not “dragging down” the subject. Take a moment, also, to notice that even though David is wearing the worst possible alligator fighting outfit ever, he is still smiling. Do you really think that if he had any other hairstyle that he would be so happy? The answer is clear: Hell to the no! Notice the expression on Charlize Theron’s face as she plays the lead in the movie Monster. See her general distaste and shocked look? We think that this is due to the slight feathering and sweepiness of the top of the mullet. Her eyes are only open so widely because she can’t control the mullet. Take a look at the thickness of the mullet. It is almost exactly the same thickness of the gun she is carrying, which ironically, looks great with this mullet. Notice the general “thrown together” look that the subject is wearing? We believe that this is because of the mullet. This woman is clearly so distraught by the affects and appearance of the mullet that she threw together this disaster of an outfit in an effort to escape it. When she got to the forest, she realized her plan had failed and snapped. This was the beginning of the end for this poor tragic case. If she had any other hairstyle, would she have gone over the edge? The world will never know….. So what do you think, Celebstalkers? Which mullet is your favorite? Do you prefer the raw, murderous, rage inflicting mullet? 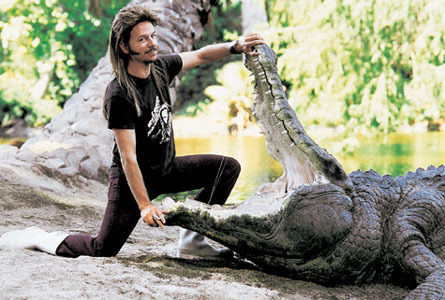 Or are you more in favor of the alligator wrestling, sideburn sporting happiness that is the comedy mullet? Vote now! This is the internet. It is not reality. It’s not even virtual reality. It is not a magical machine that can transport you to realms of pleasure where all of your dreams come true. In a perfect world, you could google “Zac Efrons Bedroom” and be magically transported via a flying carpet into the sleeping quarters of Zac Efron. There, you would wake-up amid purple silk sheets in the arms of Zac Efron as he stared down at you with complete and utter love written all over his girlish face. There in the heaven that is Zac Efrons bedroom, you would frolic with this perfect man-boy, singing duets from High School Musical and helping Zac perfect his Efron Swirley<LINK>. From now on we’ll select the wackiest search engine term that someone used to get to our blog each week and feature it in our “You Asked For It” feature post so be sure to tune back in to CelebStalk for more crazy fun! Vapid celebrity junk-blogs have no problem spewing out all kinds of personal and often false info about your favorite celebrities. But wouldn’t it be awesome to have a feature where fans could learn fascinating and true information about their favorite stars without wading through all of the national-enquirer-esque BS? We thought so too! 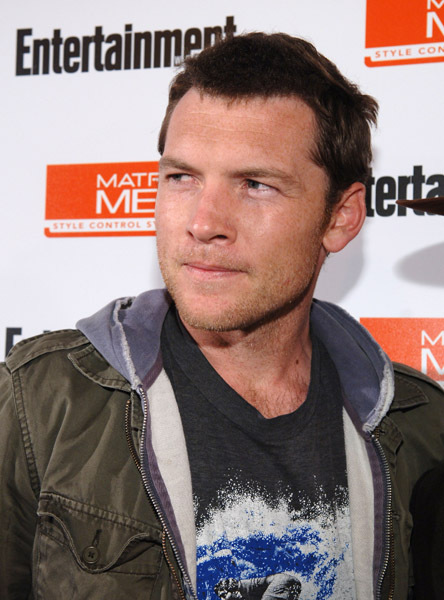 So get ready to learn some entertaining facts about this week’s Know Your Celebrity featured star: Sam Worthington! Odds are that you already know a few things about Sam Worthington. 3) He’s starred in major action hits such as Terminator Salvation, Clash of the Titans, and of course, Avatar. 3) Sam Worthington has varied musical interests from Manowar to Marley (really? Manowar?) maybe they are popular in Australia? 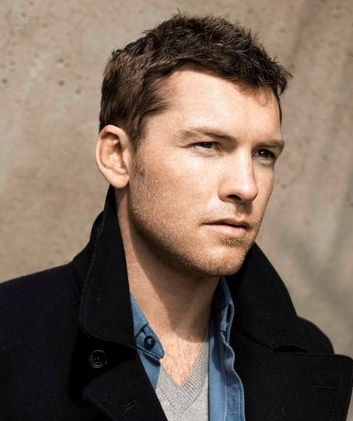 5) Sam Worthington is incredibly humble about his good looks. In interviews he has referred to himself as a Boxhead and said he felt sorry for the poor ladies who had to rub tanning lotion all over him while he wore only a paper thong to prepare him for his role in Clash of the Titans. So what’s Sam Worthington up to these days? When not pedaling his bike around LA, Sam Worthington has been making mucho movies! Sam will be appearing in Last Night (2010) with Keira Knightly and Eva Mendes, and The Fields and This Means War coming out in 2011. 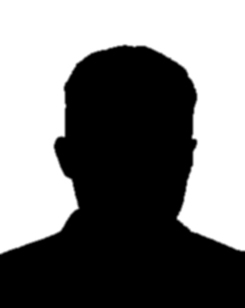 Be sure to check back next Friday for the next edition of Know Your Celebrity, and who knows maybe your Celebrity Idol or secret Celeb crush will be featured. 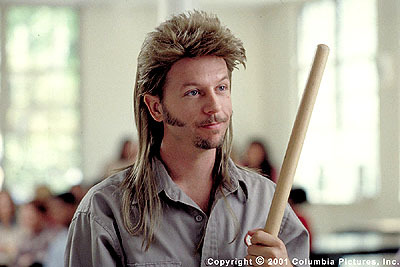 And don’t forget to stop by every Monday for Mullet Mondays when you get to vote for your favorite Celebrity Mullet!